At the beginning of this year the news broke of a tragic but unusual case where an American family launched a lawsuit against Apple. The tech giant has faced many widely reported legal issues in the past, but this one strikes a very different chord: the lawsuit alleges that the company is partly to blame for failing to prevent distracted driving, and consequently the death of a five-year-old girl. The incident took place two years ago in Texas, America. A driver was using the FaceTime service on their iPhone while driving, and due to the distraction drove into the back of the family’s car at high speed. In the wake of the tragedy, the family have brought a claim against Apple for the death of their daughter, alleging that the company shares some of the responsibility by failing to prevent it. A crucial detail of the case is that Apple filed for a patent in 2008 for a function that would ‘lock out’ users if the iPhone detected they were in a moving vehicle. However, Apple never actually implemented this technology in their devices. The lawsuit argues that it was Apple’s responsibility to do so in order to help prevent accidents caused by distracted driving. The extent to which Apple can be held to account for failing to prevent the distracted driver’s actions has been a subject of debate in the media, but will ultimately be decided in court. Unfortunately mobile phone use among drivers has been on the increase since the rise of smartphones. The road safety charity Brake reports “out of 11,000 drivers observed by academics conducting a study on roads in St Albans, England, 1 in 6 were found to be engaged in a distracting activity, such as talking on a phone, or to a passenger, or smoking.” This is a worrying proportion, and more alarmingly the charity states that in 2015, out of 1,469 fatal crashes in Britain that resulted in one or more deaths, the police recorded 101 incidences of contributory factors of driver in-vehicle distractions, distractions outside the vehicle, and phone use. In the sad case that took place in America, most would argue that it is the responsibility of the driver alone to ensure they are driving safely and without distractions. This is certainly the case in UK law – in fact, the penalty for being caught using a phone while driving was recently doubled to six points on your license and a £200 fine. Almost everyone is aware of the fact that it’s against the law to talk or text on your phone whilst driving. But there are a number of other distractions drivers are caught with from day to day that they may not even realise can be illegal. It’s an offence to manipulate your phone in any way while you’re driving, and that includes using it to navigate. Need to check your route or change your destination? Make sure you safely pull over first. This also goes for built-in car systems – if the police believe you are not driving carefully because you’re concentrating on your sat nav, they may prosecute you. This is a common one. It’s not strictly illegal, but may well be identified as careless driving if the police consider you to be not in proper control of the vehicle. Like eating or drinking, smoking is also not automatically illegal. However, if you are distracted it could count as careless driving. Failing to focus on the road by lighting or rolling a cigarette can even be classified as dangerous driving. The highway code states that you must be able to read a car number plate from 20 metres away. If you’re not able to, you must wear appropriate glasses to be safe to drive. The list of ways in which drivers have been spotted dangerously attempting to multitask is endless. Tending to children or dogs, applying makeup or even reading are just a handful of the activities drivers have been caught doing – and for which you can be prosecuted. We are all individually responsible for driving safely and carefully. If you’ve been involved in an accident that was not your fault, you need the right legal team at your side. At Smooth Law, we are the experts in car accident claims.  Whether it’s a small bump or a catastrophic collision, you can be confident that we have your best interests at heart and will provide essential support throughout the process. To speak to one of our friendly experts, give us a call on 0800 1615709 or get in touch via our website.